These stainless steel parallel coils are designed to handle massive wattage. With the 0.2Ω SUS316 heads that can handle a maximum wattage of 120W, these coils along with the 0.5Ω SUS316 parallel coils and the Ni200 0.1Ω coils have been designed to maximize wicking effeciency where the wire covers nearly all of the contact area of the organic cotton wick. 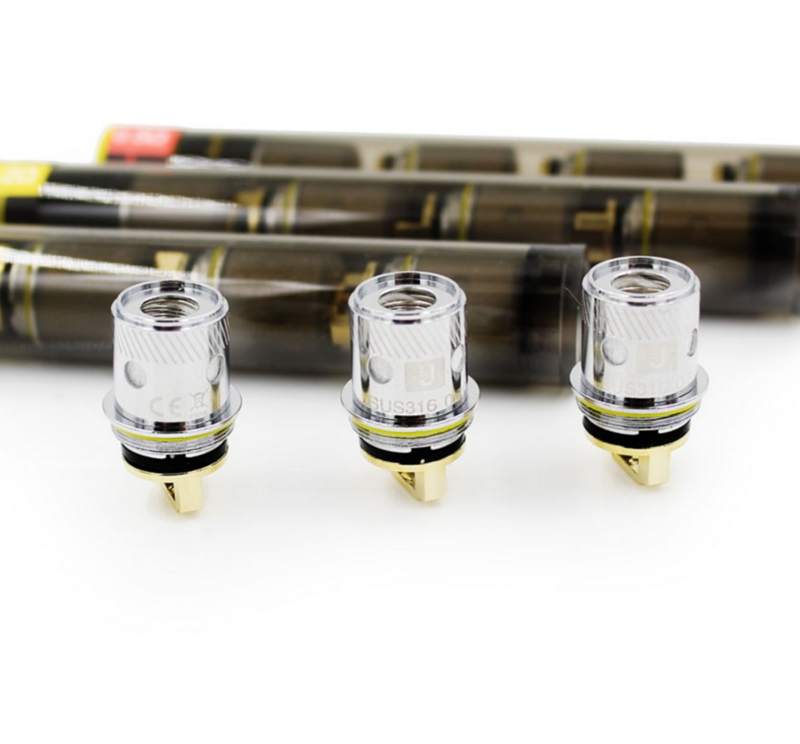 The gold plated bottom contact of these coils heads conduct electricity from your power supply to create high conductivity and gets your coils pluming vapor in a jiffy.